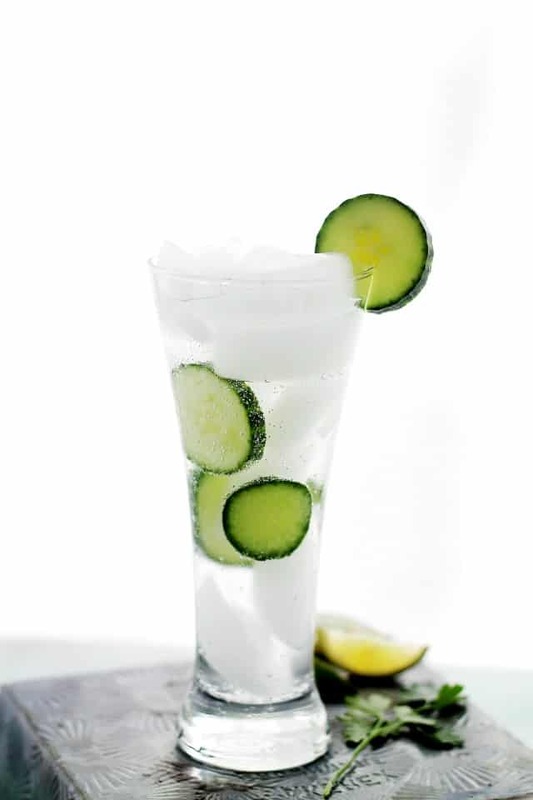 Cucumber Mojito: A delicious and refreshing twist on the classic mojito cocktail made with the addition of cucumbers. Bottoms UP! Cheers! Slainte! Na Zdravje! 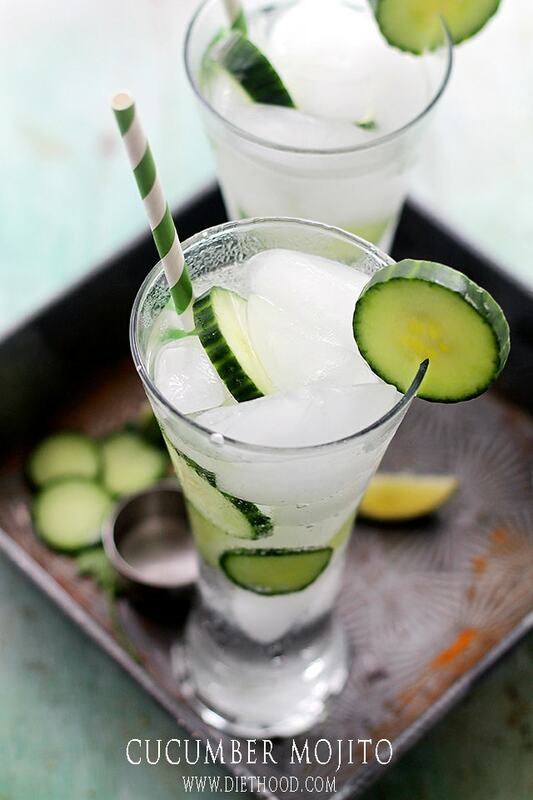 No matter what language it’s in, toasting with a glass of Cucumber Mojito is always a good thing. Happy Friday, my dear friends! Seems that this week was all about the booze, ha? Pina Colada Floats on Monday and Mojitos on Friday. Not bad… not bad at all. And, I just couldn’t help myself. Although, if I had to be completely honest, I’m actually craving pie. Like, warm, fruit-oozing out of the sides Skillet Apple Berry Pie. That’s some goooood stuff. 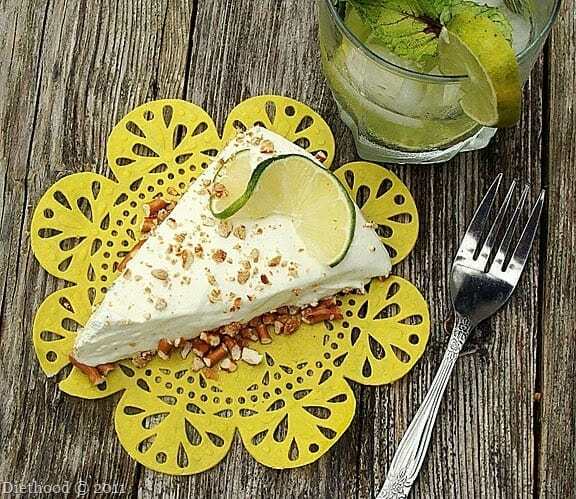 But it’s okay that this mojito doesn’t taste like pie. Buhlieve me. It really is a-OK. The truth is, cocktails satisfy my need to throw things in a shaker and make myself believe that I’m a mixologist. Just as throwing food in a pan makes me feel like Giada’s got nothin’ on me. I made these mojitos to go with a batch of Pierogies. Nothing tastes better than fried food with a side of cold, refreshing drinks. Don’t you think? And, by the way… have YOU tried my pierogies?! You should. 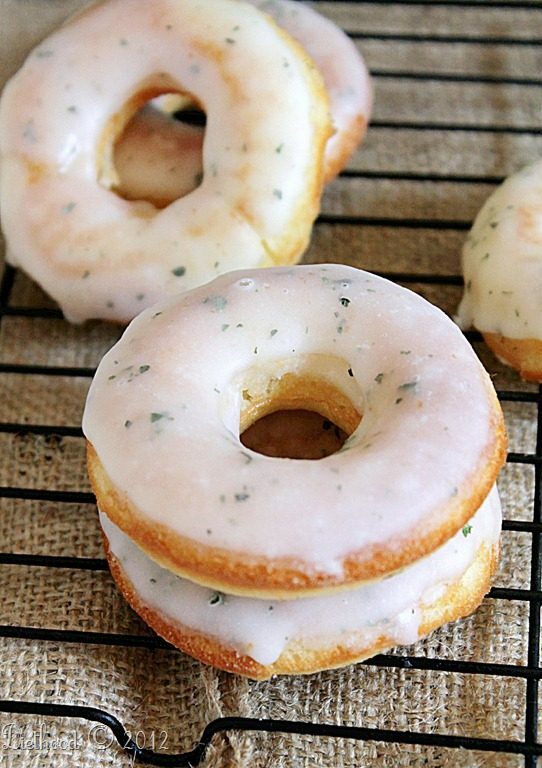 2 ingredients is all you’ll need. + the filling. Them things are darn awesome! And munching on them things was delightful and delicious. I’ve been craving more mojitos and pierogies ever since. You are only a cucumber and rum away from having this ridiculously awesome drink. 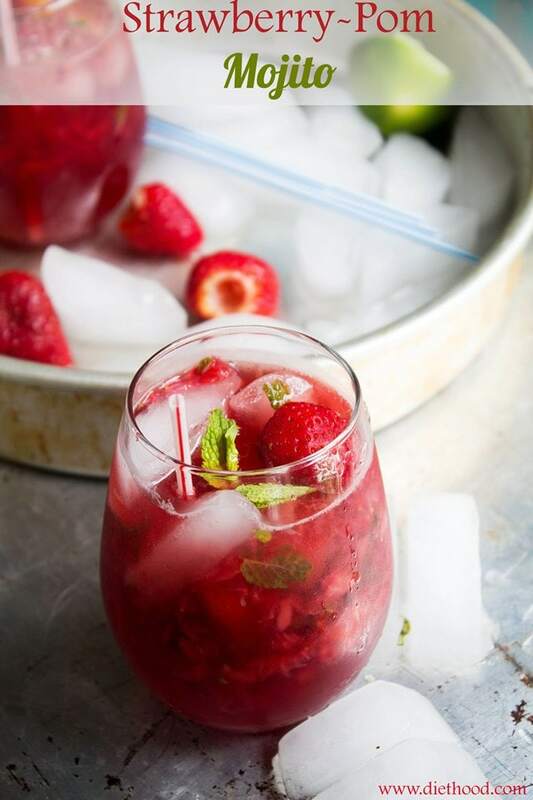 So bright and happy, and so easy to make, these babes will make any mojito-sipper super happy! Besides, I think these fall in the healthy category. I mean, cucumbers are all about hydration and they’re packed with potassium. So, yes, yes, they are healthy. Make a simple syrup by combining the water and sugar in a small saucepan; bring to a boil. Stirring occasionally, continue to boil for 5 minutes, or until sugar is dissolved. Remove from heat; set aside and let cool. 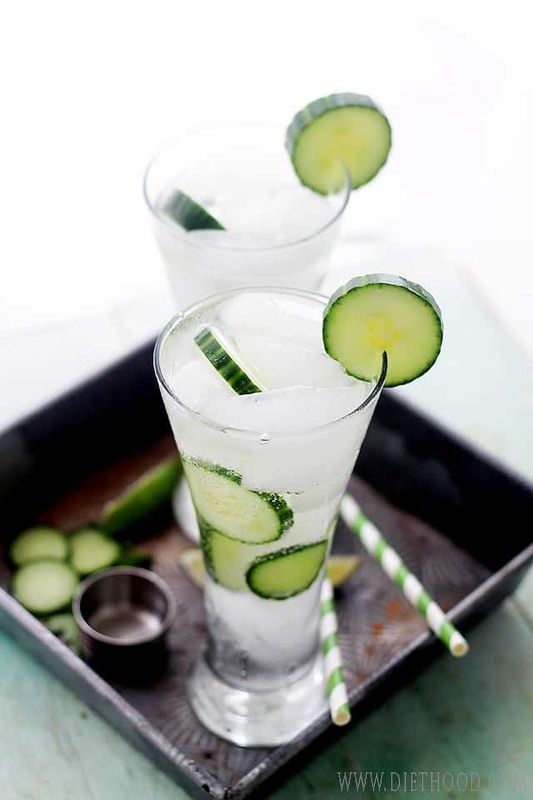 Using a muddler, muddle cucumber slices and mint leaves in a cocktail shaker. Add rum, lime juice and 4 ounces simple syrup. Add seltzer water to the shaker. RECIPE SOURCE: DIETHOOD ***Store the remaining Simple Syrup covered and in the refrigerator for up to 1 month. It’s going to be 108 today (yikes!!) and these mojitos are an absolute necessity! I could use one of these right now. Love the photos, Kate!! This looks like my new summer drink! Cheers!!! You are a Goddess! Love these. 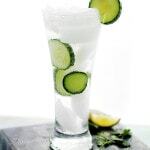 I love that you put cucumbers in this, it looks amazing!! !